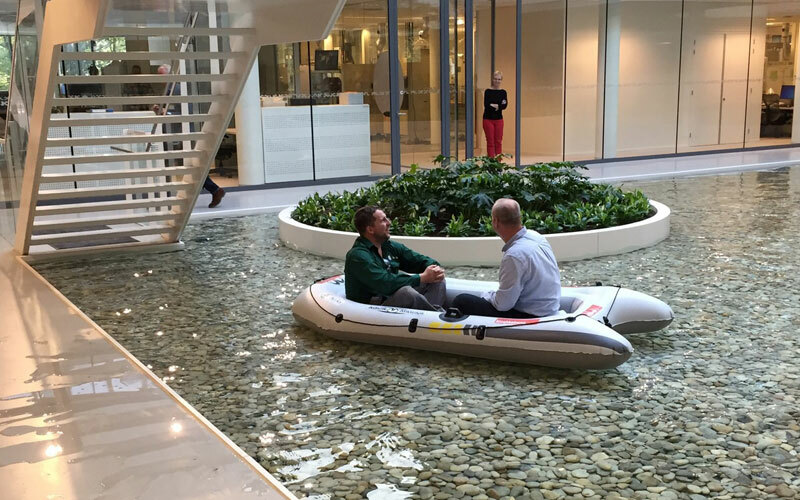 As architects, we are capable of literally creating a useful, future-proof environment. It is our main goal to design sustainable buildings that are valuable for society and that do justice to our environment and its natural resources. Together with the client and the user we shape this sustainable future. We design our buildings according to the essence of architecture: the ‘form follows climate’ approach. By doing so, the comfort of a building will be mainly realised by the shape and orientation; by architectural solutions. When looking for these solutions, we use natural sources as much as possible, resulting in a minimized use of technology. The additional technologies we do use are always based on green and sustainable energy sources. 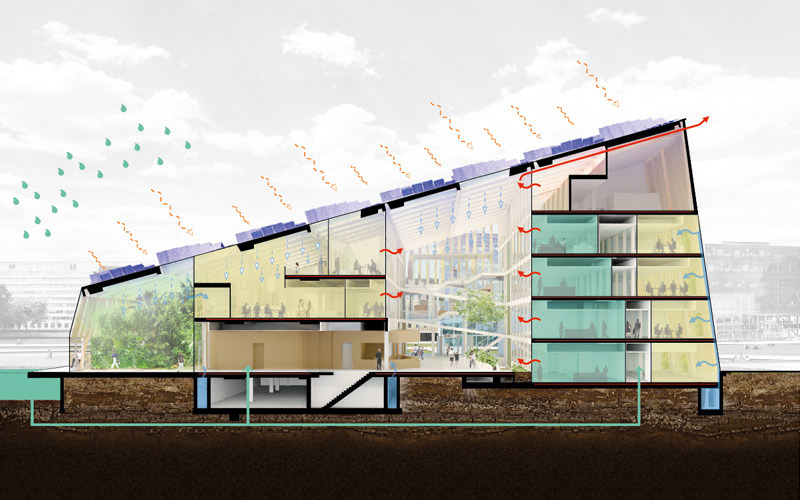 Examples of these solutions are the winter garden in the Energy Academy functioning as a natural climate buffer, and the pond in the DSM research centre, that functions as a natural air humidifier. We combine our knowledge with advanced design techniques and tools like Sefaira. By doing this, we are able to test, adjust and therefore optimize the energy performance of the building design during the design process. Our goal is to always create comfortable indoor climates and to save energy at the same time. 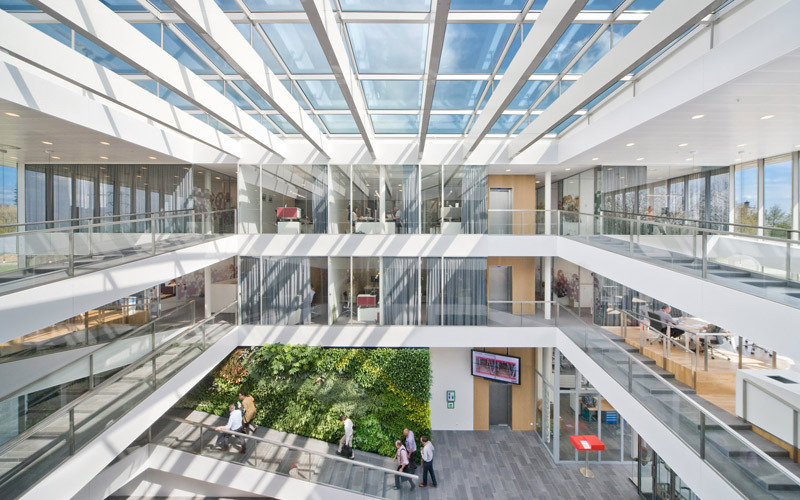 Therefore we work with as much natural daylight as possible, use natural ventilation, work with concrete core conditioning and geothermal heat pumps. We look into the use of solar panels, passive sun blinds, CO2 detection and luminaries with presence sensors. Moreover, when it fits the ambitions of the client, we add more solutions and look if there are possibilities to collaborate with parties in the surrounding area. 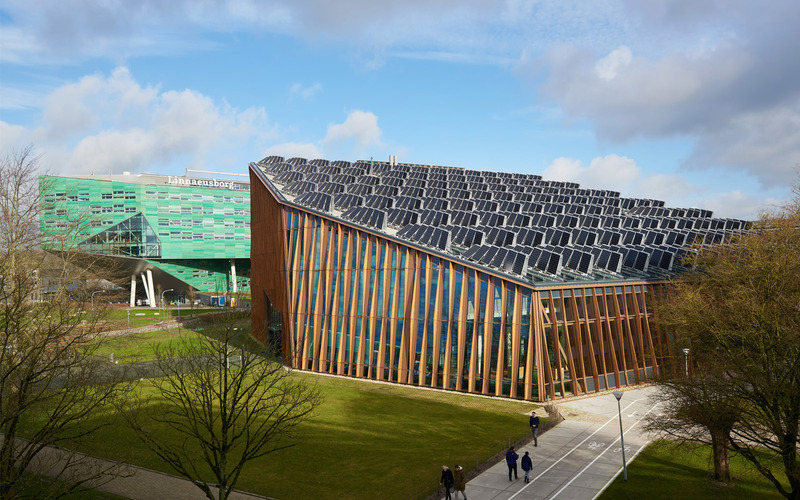 For instance, the surplus heat of the Brightlands Chemelot Campus in Geleen is used to condition the DSM research centre. A building can also be sustainable in user experience, when the client, users and neighbours are proud of the building and when interaction with the building arises. We also shape the social aspect of sustainability with our buildings. We do not only create a sustainable building, but also an appealing building in which we connect people and create communities. Together with the users we design fitting ‘sustainability’ that operates as planned. This is beneficial for the development of people, the environment and sustainability. With our research on innovative sustainable solutions and new concepts, we take sustainability to the next level. Our design for the Energy Academy Europe is a perfect example of this. The building is not only energy efficient, it even generates energy! 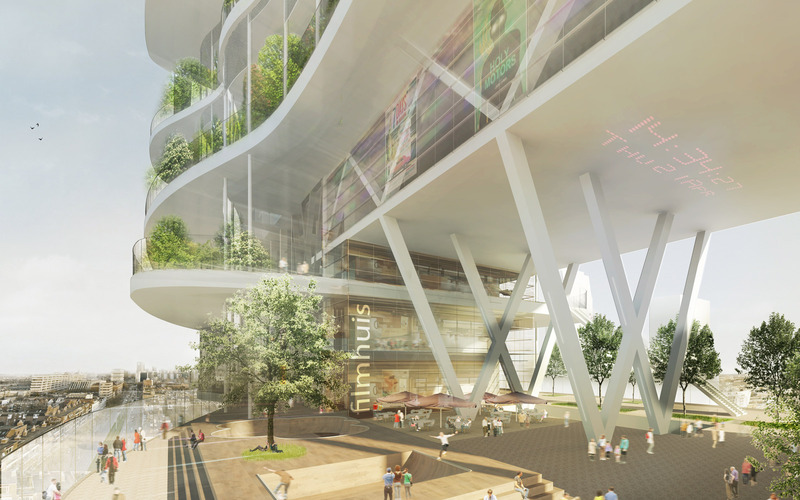 With the BREEAM Outstanding label, it is going to be the most sustainable educational building in the Netherlands. ‘Green Living’, the concept for the new sustainable city of the future, is also an example of our sustainable innovation, just like our research on sustainable buildings without using expensive installations. 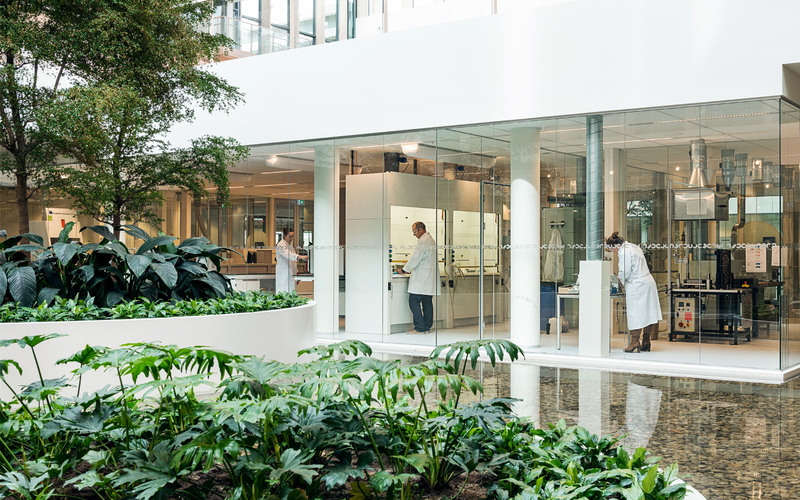 Broekbakema Lab is the place where we think out of the box and can further develop our expertise in sustainability. 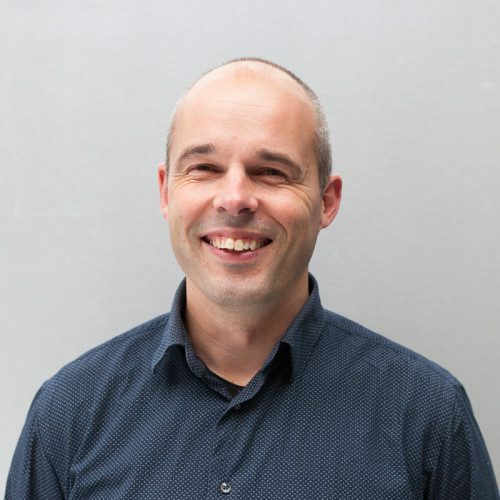 We are happy to tell you more about the expertise Sustainability.